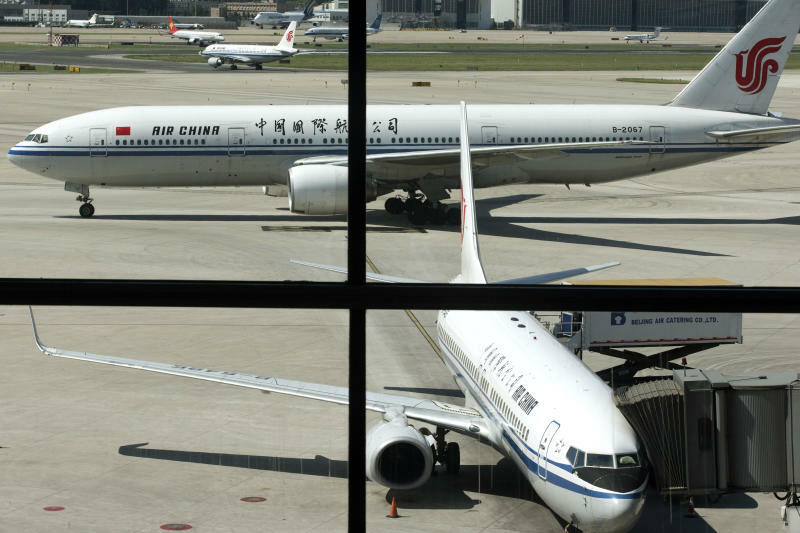 BEIJING (AP) -- China's airlines are likely to triple the size of their fleets over the next two decades, driven by strong economic growth and rising tourism spending, Boeing Co. said Thursday. Boeing and European rival Airbus Industries are looking to China to drive sales as growth in demand cools elsewhere. China's economic growth fell to a two-decade low of 7.5 percent in the latest quarter but that still was well above forecasts for the United States and Europe. Purchases by Chinese carriers should rise 7 percent a year through to 2032, totaling 5,580 planes for $780 billion, Boeing Co. said in an annual sales outlook. It said that should account for one-sixth of global sales. The outlook represents an increase over last year's 20-year forecast of sales of 5,260 new airplanes valued at $670 million in 2012-2031. "Tourism in China and intra-Asia travel will help spur a strong demand for single-aisle airplanes," the Seattle-based aircraft manufacturer said in a statement. It said sales of wide-body planes should be driven by growth in long-haul traffic to and from China.